APJ Solicitors are a dynamic practice committed to exceeding the expectations of all our clients. To achieve this aim we require highly motivated and driven staff who share our passion for excellence in client service. We are a specialist, niche, firm of solicitors that only deals with financial loss claims. We are looking to invest in high calibre qualified and non-qualified people who want to contribute to the continued growth and development of a highly regarded “boutique” solicitors practice. You would be joining a team of successful solicitors, trainees and support staff. Our offices are modern, easy access from Liverpool, Chester and Manchester and in pleasant surroundings. Our working environment is friendly and inclusive with a lively social aspect. As an SRA Authorised Training Provider there are plenty of opportunities for career development and progression. We look forward to hearing from you. Our current vacancies are listed below. for this area of work. highest levels of positions within the firm. We are specialists and recruit first class solicitors and support staff to ensure that we are and remain at the forefront of the developing area of law. 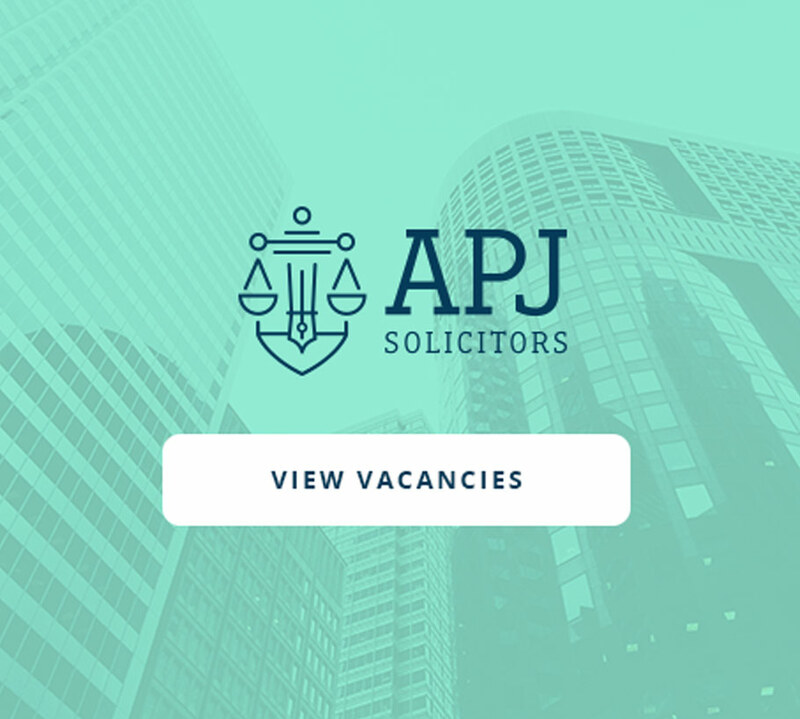 APJ Solicitors actively recruit experienced non-legal professionals in our business support departments, which are an essential component of our client service provision. We look for experienced and committed individuals who can assist us in becoming more efficient and innovative in Accounts, HR, Training, Call Handling, IT and business development. Your career with APJ Solicitors begins with full pre-induction programme that allows you to acclimatise into our culture and ethos before you begin to make your own contribution. This fabulous course assists you to become part of who we are and appreciate the value you bring to our firm. APJ Solicitors are great believers in continuous growth and support of all our staff utilising both in-house and externally funded courses. Irrespective of whether you are a trainee, legal assistant, solicitor or manager we are committed to supporting you to reach your maximum potential. APJ Solicitors invest in our people from the embryonic stages of their careers and the Chartered Institute of Legal Executives is often the first step.